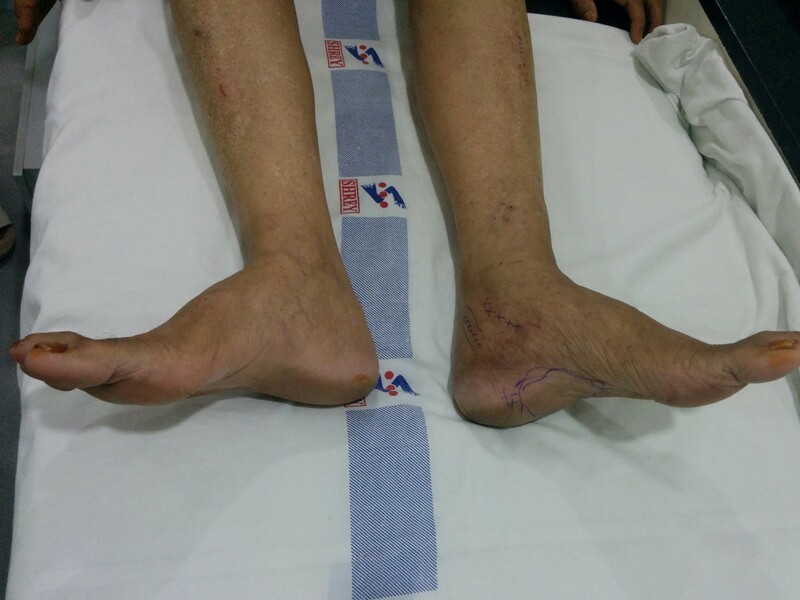 This middle aged house wife had persistant pain in left heel since last 6 months and could not step out of her bed in the morning due to severe pain on weight bearing. She cannot walk barefooted. 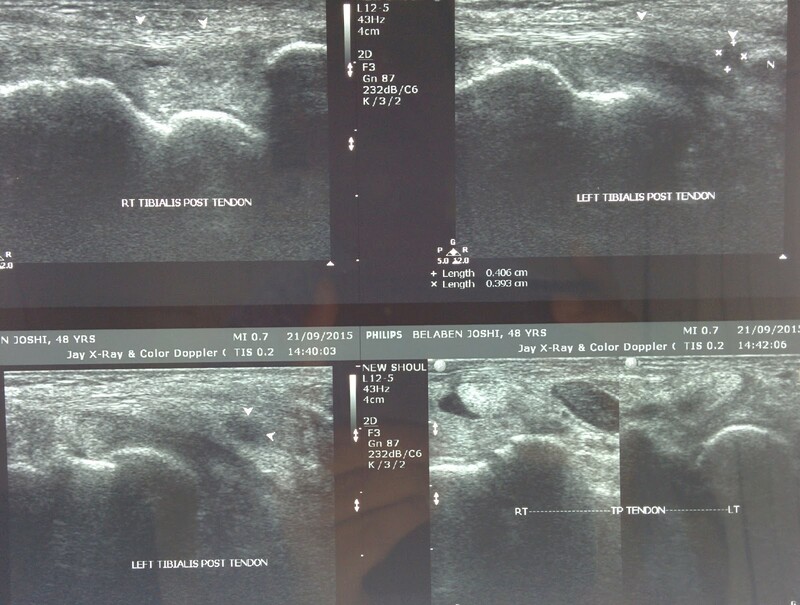 She was not relieved with routine conservative means including local injections of steroids. 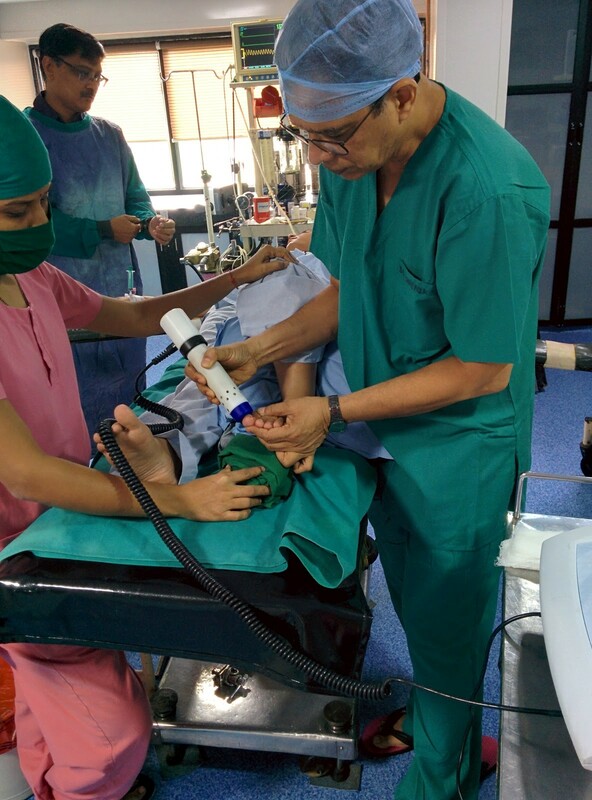 She was cured with Radial Shock Wave therapy and is back to her household chores and can even walk barefooted in her house. This salesman who has a moving job and has to walk a lot, had severe posterior heel pain more on walking. He was suffering since 1 year as no treatment was helping him, infact it was getting worse day by day. Local injection was ruled out due to fear of rupture of Tendoachillis. He was given RSWT and he went for uneventful recovery and is back to his job and needs no modification in his foot wear. 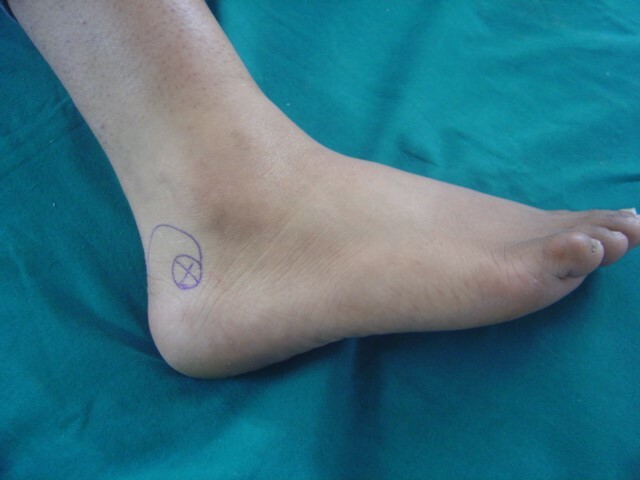 Tibialis posterior Tendon is an important stabiliser of arch of foot and often gets inflamed due to overuse and may result into rupture and cause adult acquired flat foot. 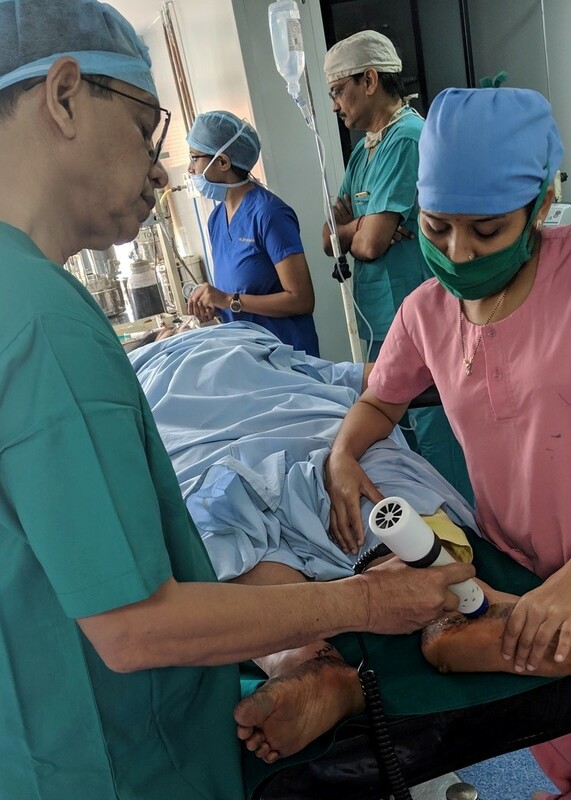 These patients can be treated conservatively with rest, NSAIDs,braces/ orthosis but many don't respond and keep suffering and eventually worsen. 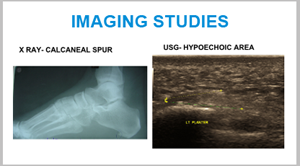 USG is very precise in diagnosis and gives a documentation to stage the disease. 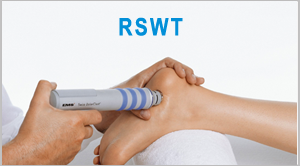 r-ESWT is a good noninvasive treatment which can regenerate the tendon and prevent progressive damage. 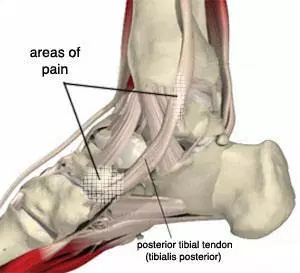 The compression neuropathy of posterior tibial nerve in the tarsal tunnel behind the medial malleolus is very painful and can cause degeneration and progressive damage to the neural structures. Usually diagnosis is confirmed after clinical examination and NCV studies. 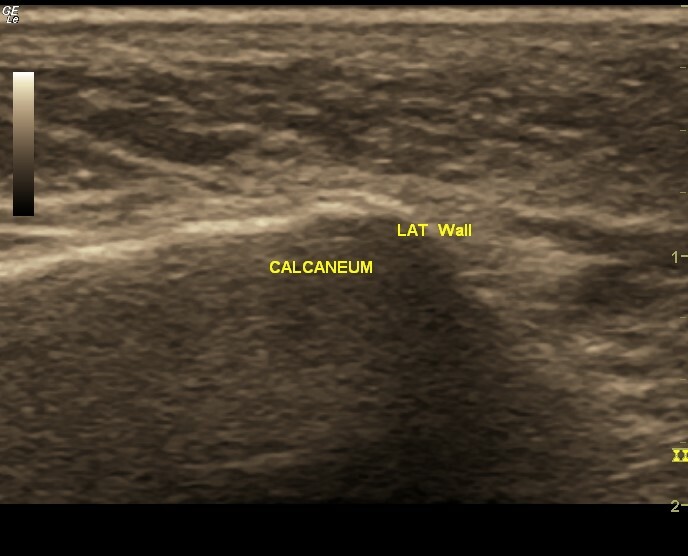 RSWT is a good alternative to surgical release as it can regenerate the nerve as it does in carpal tunnel. 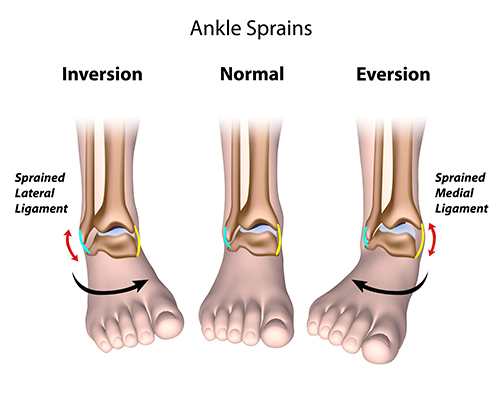 Ankle sprain is the commonest injury around ankle and can cause prolonged disability and pain if not treated adequately. 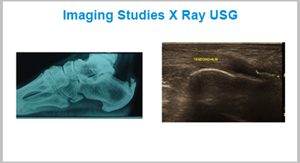 Chronic sprain is long term disability and needs detailed evaluation with imaging. This chronic pain and ligamentous instability can be successfully treated with RSWT as ligament too regenerates. 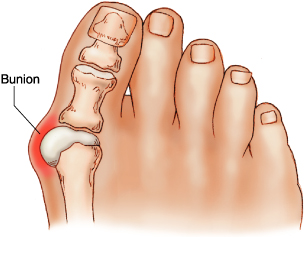 Great toe MTP joint is primarily affected in gout and can be a cause of long term pain and disability. Medical condition can be treated with drugs but deformity is disabling and corrective braces help only to some extent. 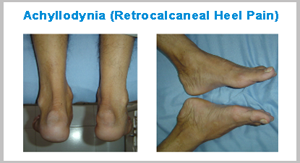 RSWT helps to regenerate and takes away joint pains so as to wear shoes and decrease disability. Long term follow up is needed to monitor the progress of the disease and medical treatment need to be supervised at regular intervals. 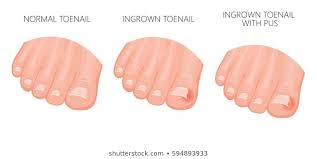 This is very annoying and painful disease where in nail grows into the surrounding soft tissue and causes inflammation and even infection. 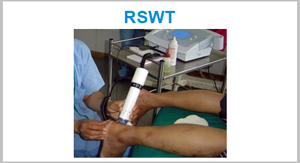 There are very many conservative methods to treat but have had good results with RSWT, where the tissue regenerates and there is no need of antibiotics in most patients and pain reduces drastically without having to attend the clinic for dressing or splintage. 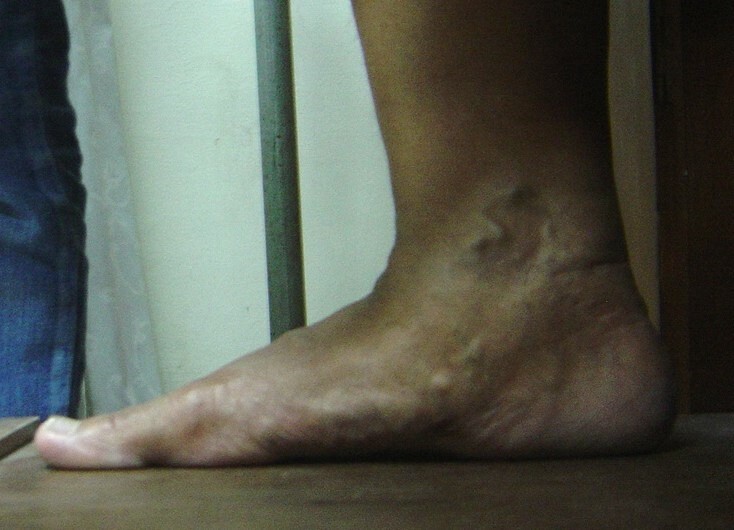 Skin disorders may be due to overuse or friction due to foot wear or infection. 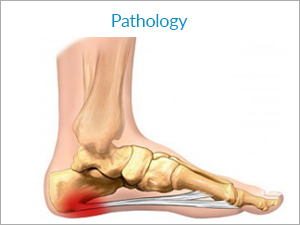 Orthotripsy ( r -ESWT) can regenerate soft tissues and can heal corn/ callosity/ blister/ warts Depending on the severity of the lesion it may take more than one sitting to resolve and it takes about 2-4 months to heal. 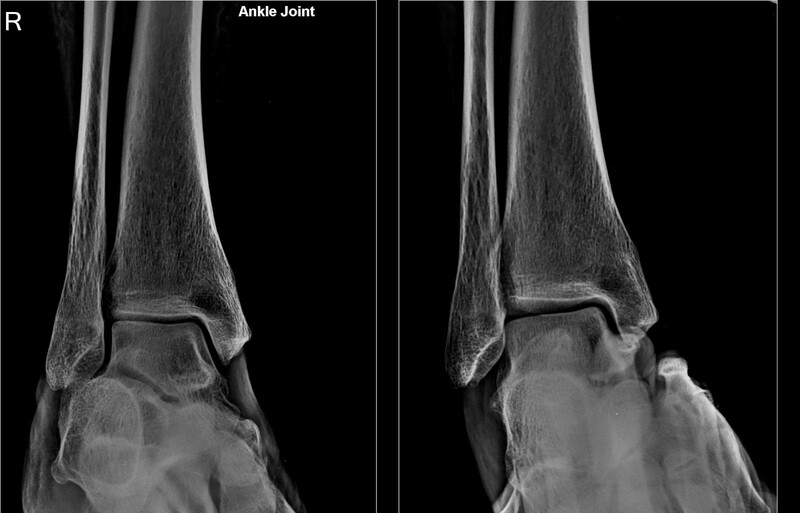 Stress fracture is not uncommon, it is fracture before fracture occurs and need clinical suspicion and imaging to prove it.it can be successfully treated with ESWT and may not need braces and plaster allowing patients to lead normal life till it heals. 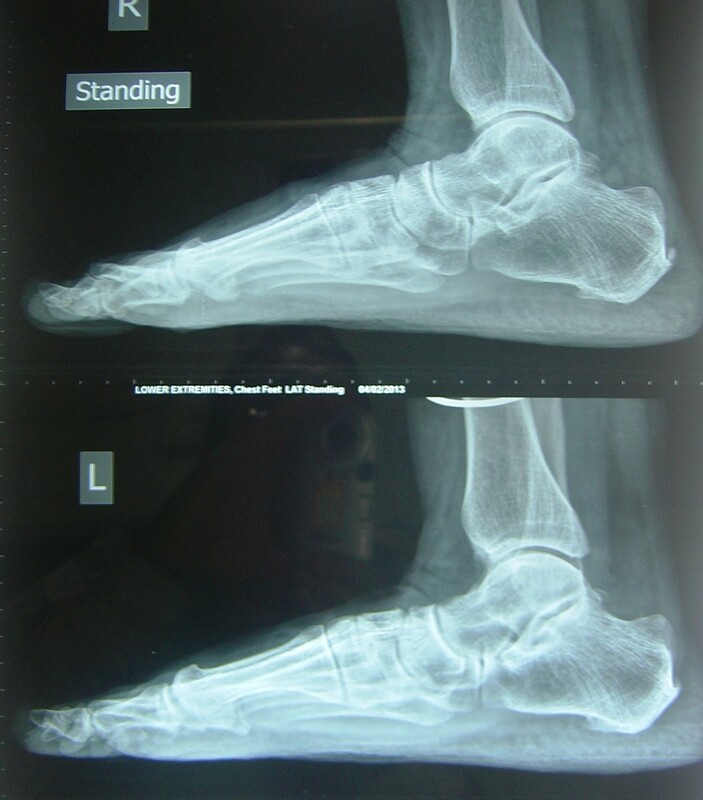 This young girl had stress fracture of calcaneus and was successfully treated with r-ESWT and need no brace/POP.